Made with sesame seeds and salt, gomasio is used on plain rice and also adds flavor to any dish. 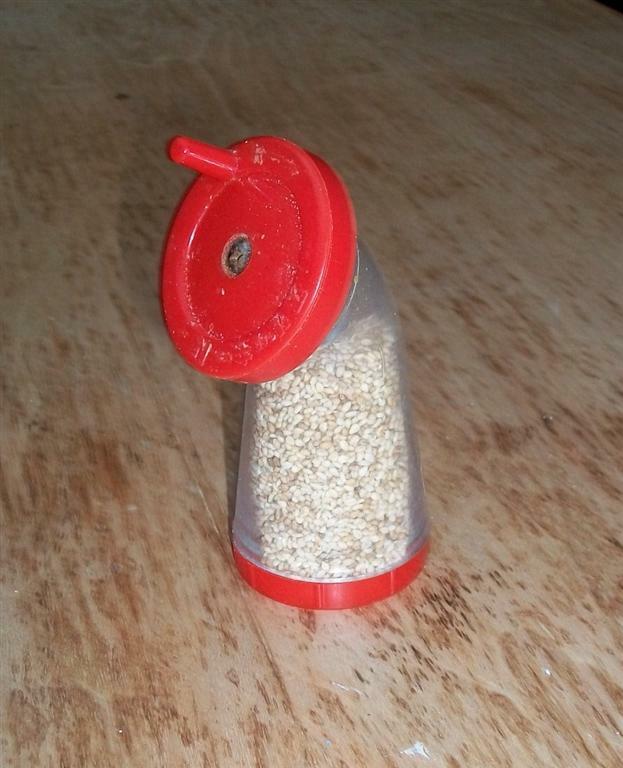 The standard ratio is 18 sesame to 1 salt. I usually use a large teaspoon to get the desired amount that lasts me for a week or a little longer. After making it, I keep it in a glass jar with a tight lid. Heat a skillet on a high flame. Roast the salt first for few minutes until it looks shiny. 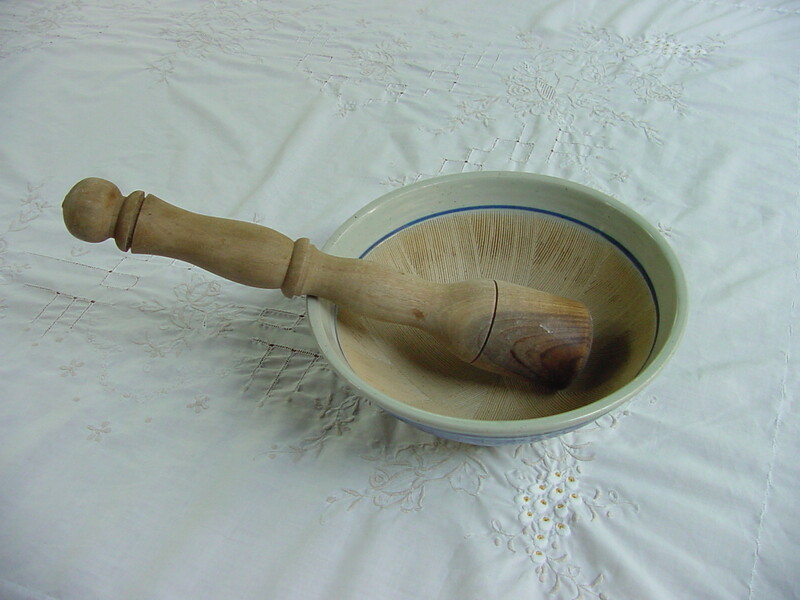 Place the roasted salt it in a suribachi (clay bowl with ridges, designed for grinding). Put the clean sesame seeds in the hot skillet and roast on high flame, stirring constantly with a wooden spoon. Shake the skillet from time to time because the seeds tend to burn easily. When the seeds start to give off a good fragrance, try to crush one between your thumb and small finger. If it crushes easily, then it is done. 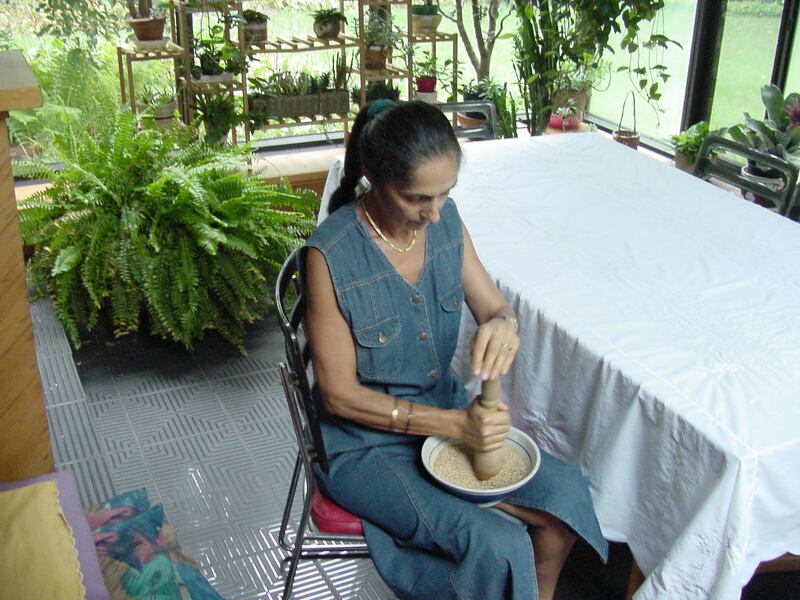 Grind the seeds and the salt in the suribachi with a pestle, applying a slow circular motion, until most of the seeds are crushed. After it is cool, put the gomasio in a glass jar with a tight lid. For those that want to grind the gomasio at the table, this little mill from Japan saves time and extra work.